Vigna sinensis 63 – 84 days Cowpeas are also known as Southern peas, field peas, crowder peas, and black eyed-peas. They are commonly grown as a cover crop or compost crop. They are also a valuable food crop. The peas have a creamy texture and distinct flavor. They can be used fresh like shelly beans, boiled, frozen, or canned. They can be used as a dry pea for soups. The green peas can be roasted like peanuts. I tried this and they were delicious. Scorched seeds can be used as a coffee substitute like roasted okra seeds. 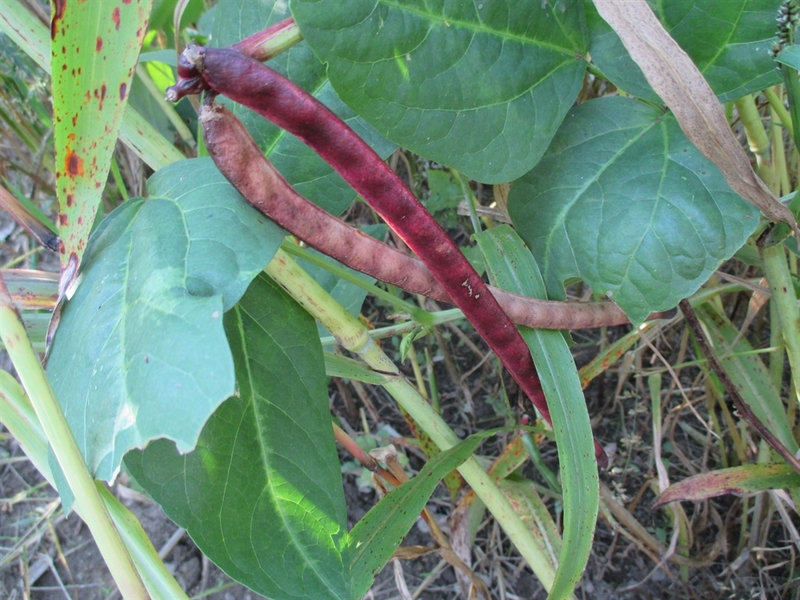 Cowpeas, unlike common peas, need warm soil to germinate. Wait until 2 weeks after last frost to plant. Sow 1″ deep and 2″-6″ apart in rows. These seeds were sent to me from a grower in Tennessee. I grew these in a multi cropping system along with millet, sorghum and corn. They did extremely well and I had no issues with obtaining plump, healthy seed.